Caring for your suit is very important. Suits are the most expensive attire in a man’s and ladies wardrobe. 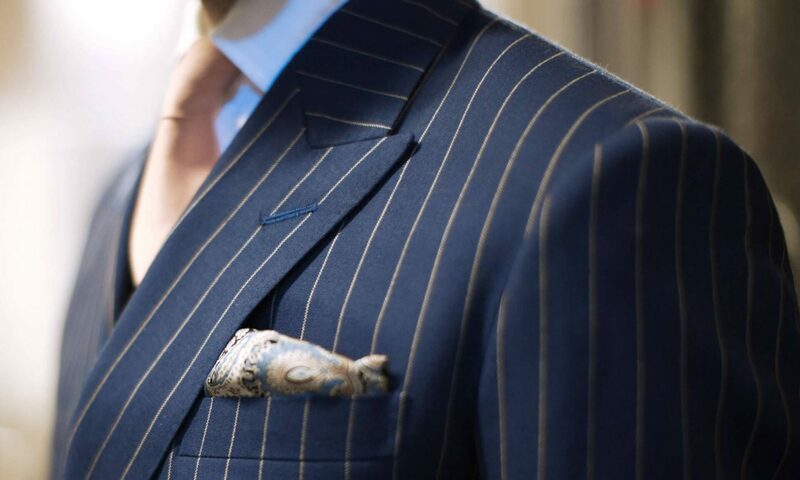 The more you care for your suits the longer they will last and stay in good condition. Your suits condition will get worse and i will become unpresentable. If you treat do not look after your suit well you will look not as sharp for attending business meetings, formal occasions, or even a job interview. This will make you feel not as confident in yourself, so its well worth following these few following tips. The following tips will ensure that your suit stays in good condition. To keep your suit in good condition you should try to only have it dry cleaned only a few times a year. If you dry clean it too often your suit may develop a slight shine because wool is a natural fibre. Be careful about what you put in your pockets. Try to avoid heavy loads which might strain on the seams. To prevent straining the fabric of your suit, unbutton your jacket before you sit down and pull the trousers up when you sit down. When hanging your suit up make sure you use a sturdy wooden hanger with rounded shoulder supports. This will make sure it retain it’s shape and store it in a bag to prevent dust settling on the shoulders. After you a wear your suit brush it with a clothes brush to keep it clean and looking sharp. To keep that brand new, fresh from the tailors feel to your suit have it professionally pressed in-between cleaning. Make sure your suit has at least one day rest in-between each use to avoid it wearing out and help any moisture dry up. Only ever have your bespoke tailor made suit professionally dry cleaned. Always immediately have and stains or spots removed, to avoid them settling and being unable to be removed. If you cannot hang your suit up, for whatever reason, turn the jacket inside out with the shoulder touching. this will prevent any dirt staining the outer fabric. Only ever press you suits with steam to removes creases. Try not to dry iron wool suits because it with damage the natural fibres. before you begin to press your suit check the heat settings. If the iron is too hot the heat can damage the expensive cloth. When ironing out creases pres and lift up rather than sliding the iron as you normally would do. Only trust a reliable, high quality dry cleaner with you suit. they will properly care for your suit, preventing any damage to the wool. Try to only dry clean your suit every three months because the chemicals they use in the steam will would damage your suit. Sometimes even beyond repair. Air the suit immediately after dry cleaning in a well ventilated room. This will make sure the wool can breath and will complete the dry cleaning process.